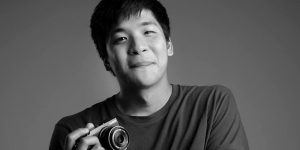 Mr. Tawanwad “Tang” Wanavit, a Film Production alumnus (Class of 2014) was adjudged as the winner of the APF Street Photography Award IV on September 13, 2018. His winning photo, entitled “Glass Monkey” shows a monkey staring inside a car. “We are also proud of Tawanwad Wanavit‎ for his continued effort and showing improvement in leaps and bounds. He is a hardworking photographer and we wish him all the best,” according to APF Magazine Street Photography Group, the organizer of the award. APF Magazine Street Photography Group, one of the largest and most active street photography groups in the world today with over 141,000 active members from 100 different countries, provides a platform for emerging photographers, artists and designers to showcase their works. Congratulations on your success and keep up the good work, Tang! Previous PostTech App Entry Earns MUIC Students 2nd Prize at Hack Your Tech 2018Next PostCongratulations to MBA & MM Class of 2018!